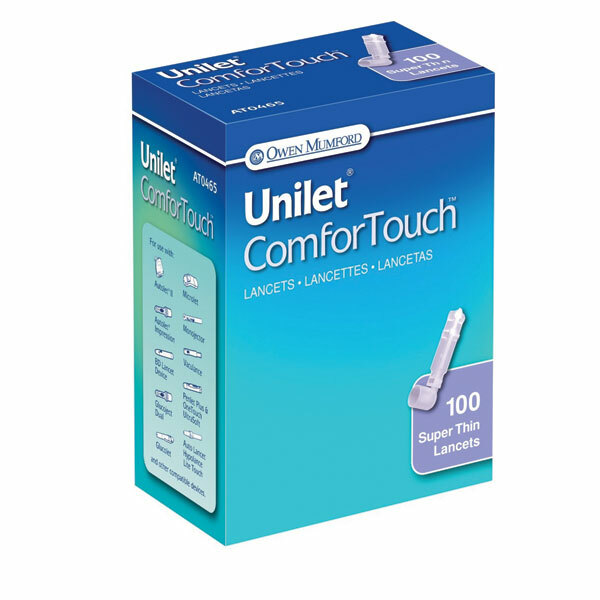 Unilet ComforTouch Lancet Special ultra-thin needle and a "Duosharp" point for more comfort . Features protective cap for safe disposal. Can be used with MOST major sampling devices.